Got 4 hours of sleep, but you need to look like we got 12! Who’s with me? 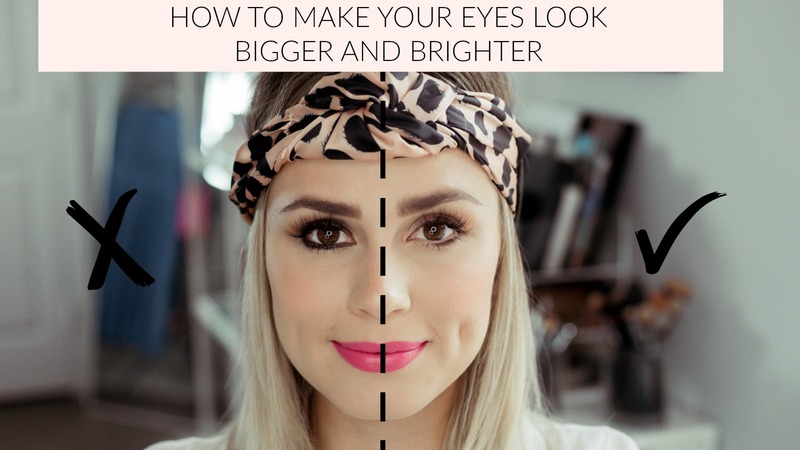 Today we are going to talk about simple tricks on how to make your eyes look BIGGER and BRIGHTER. Biggest tip of them all- avoid lining your eyes all the way around. Overall, my biggest tip to take away from the video below is to avoid using liner all the way around. As you can see, it DRASTICALLY makes a difference. Unless you are going for a bold and smoky eye, I would avoid lining your eyes all the way around. Instead, try lining the outer corner of your eyes and try using a dark brown instead of black. Also, try the highlighter trick on the inner corner of your eyes! The subtle highlight is just enough to make your eyes pop even more. Any tips on how to make your eyes look bigger and brighter? Share them below! Such great tips! This tired mama is always looking for any tips to help me look more refreshed! What’s your favorite highlighter? my absolute favorite would be the one I linked in this post. I love the Dose Of Color- their pigments are AMAZING!